Ever since my 1-day-1-pack experiment, I’ve been on a tear, sheet masking like my life depended on it. Between press samples and gifts from friends and family every time they return from Korea, I have a pretty heft stash of them, and I figured at my previous rate of one mask every few weeks, the masks would expire before I ever got to them. My ultimate favorite is still the LJH Tea Tree Soothing Mask (full review here), which stopped my hormonal acne in its tracks. But I’ve been using a lot of hydrating sheet masks for my parched winter skin. So here are a few quick reviews of some sheet masks I’ve been testing out lately, some winners and some less so. A truly luxe mask, vBeauté Deep Sheet Purifying Charcoal Mask is ebony hued and silky, though not overly slippery. It almost feels like cupro, the new coveted material of sheet masks, but it’s actually rayon. The mask is 41% bamboo charcoal, which is infused into the mask. There’s no paper to remove — the cloth is substantial enough to be folded just into itself. The essence is not viscous or creamy, but it’s not drippy or runny either — it definitely feels substantial. The mask conforms to the face incredibly well, with few bubbles to smooth out. Unlike other masks, it doesn’t move or sag as I pat extra essence on top of the mask. After about 15 minutes, I feel like it’s drying out, but when I go to take it off, it still feels pretty saturated. I pat in the excess essence, which absorbs super quickly — actually much faster than most sheet mask essences, which really surprises me. Also, there is no pilling when I apply my serums afterwards, which I find happens with cheaper, lower quality masks. To me, the lack of pilling is a huge indicator of yay or nay. Afterwards, my face felt firm, taut. But the most surprising thing is that my face looks … brighter … and yet more than brighter. It actually looks a little lighter, as in whiter. Like the charcoal had lifted away the darkness, dullness, and redness on my face and left a whiter, lighter complexion. I’m really impressed with this mask, and if I had $38 to spend on a single sheet mask, this would be it. Alas, I’ll have to wait for more press samples or till I win the Lottery. 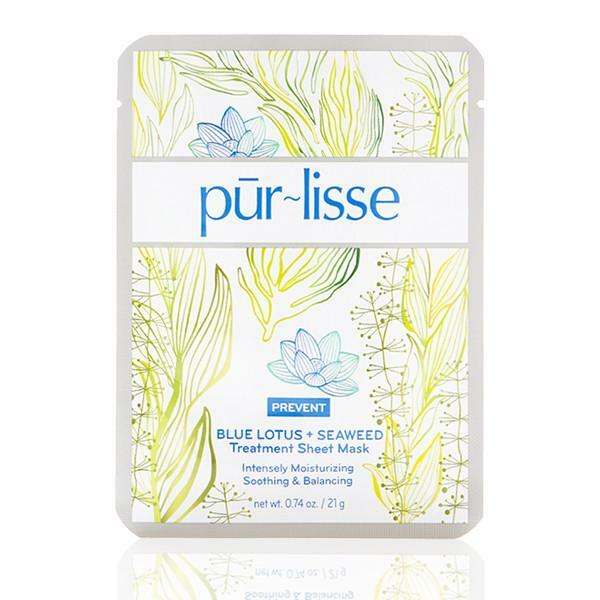 This Pur-lisse mask may just be a cotton mask (as opposed to the fancier cupro or rayon or even bio-cellulose), but it really does feel more luxe. The essence is less watery and more bouncy, like a true serum. After rubbing the remaining essence all over my neck and décolleté, there’s no pilling and it plays well with other treatments. I left the mask on for about 30 minutes, 10 minutes more than the recommended time, but that’s because the mask was not drying out at all. Lower quality masks tend to dry out on me, especially under the nose, but this one went above and beyond. A great cotton mask that’s affordable enough to do a 1-day-1-pack reboot with. Cons: I can’t seem to find the blue lotus extract in the ingredient list. Am I blind? 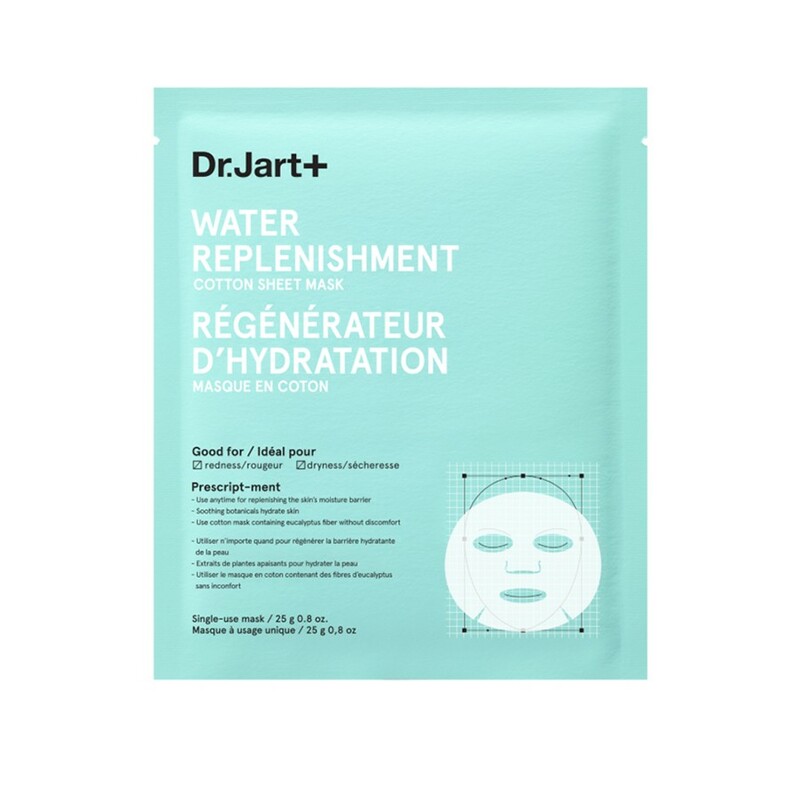 Dr. Jart+ Water Replenishment Mask is just a good, solid mask for hydrating your skin. It’s a cotton mask with eucalyptus fiber, but it clings better than your average paper mask, in my opinion. The essence is not runny, but I wouldn’t call it viscous, either. The mask stays moist the entire 25 minutes (though recommended time is 15-20 minutes). Afterwards, my skin felt plumped and nicely hydrated, though not overly saturated. There’s no pilling — always a good sign. It’s got chamomile flower water as its second ingredient, which is a big plus. It’s also got witch hazel extract and sodium hyaluronate fairly high up there. 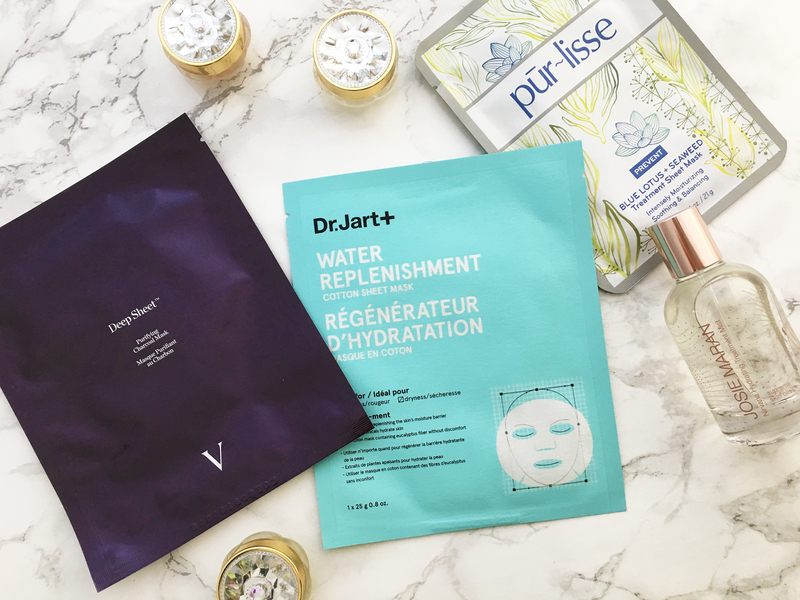 I find that the masks are my favorite product from Dr. Jart+. While Dr. Jart+ was exciting when it first came to Sephora because it was one of the few Korean brands (especially with a BB cream) to actually launch in a mainstream retail outlet, the more I learn about different K-beauty brands, the less I turned to Dr. Jart+. Still, their masks are always solid and for the price (about $8), a good value. Pros: A good, solid sheet mask for everyday use with good ingredients high up on the list. Plus you can get it at Sephora — always a plus in my book. 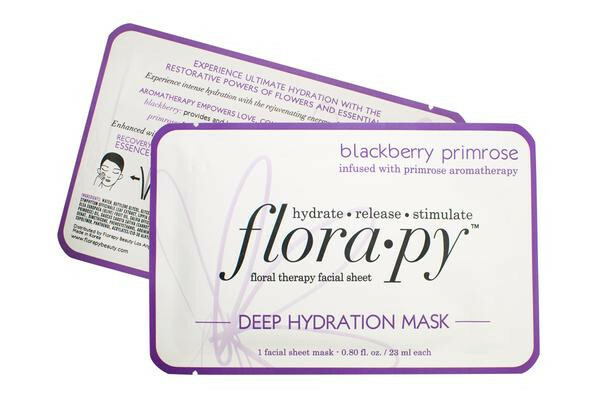 Cons: There are a lot of good, solid sheet masks out there — this one doesn’t particularly stand out among the good ones. Key Ingredients: Chamomile flower water to hydrate, witch hazel extract to improve skin barrier function, cactus extract to calm acne and hydrate. Full Ingredients: Water, Chamomilla Recutita (Matricaria) Flower Water, Butylene Glycol, 1,2-Hexanediol, Glycerin, PEG-32, Hamamelis Virginiana (Witch Hazel) Extract, Glycereth-26, Sodium Hyaluronate, Hydrolyzed Collagen, Cereus Grandiflorus (Cactus) Flower Extract, Olea Europaea (Olive) Fruit Extract, Panthenol, Polyphosphorylcholine Glycol Acrylate, Arginine, PEG-60 Hydrogenated Castor Oil, Ethylhexylglycerin, Disodium EDTA, Fragrance. I got this mask as a sample at the Indie Beauty Expo earlier this year. 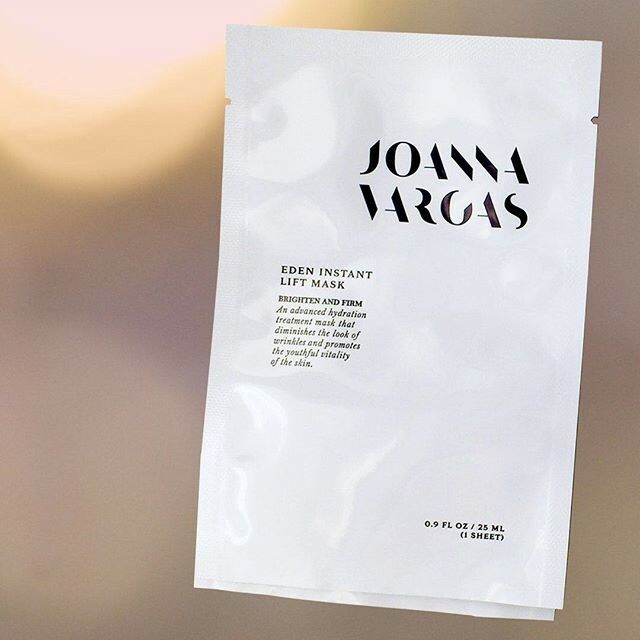 Joanna Vargas is a celebrity facialist who launched her own skin care line. Everything’s made in small batches, and her sheet masks are “100% natural” with no parabens or synthetic fragrance. The first thing that stands out: There’s a lot of essence in this mask; they certainly don’t skimp on that. The sheet mask itself is a basic cotton one, but the overflow of essence in this mask makes up for it. (I could actually pour the extra essence onto my hands from the pouch. Normally I have to stick my hands into the pouch to get all the extra essence to smear onto my neck and hands.) Ultimately, it’s a good basic sheet mask, and yes, it’s got stem cell extracts from the rare green Swiss apple (though it’s low on the ingredient list), but for $75 for a pack of 5 (that’s $15 a mask! ), it’s definitely not something I can afford to buy. Key Ingredients: Antioxidants cherry blossom leaf extract and coenzyme Q10, vitamin B5 deeply hydrate, other botanical extracts act as anti-inflammatories. Full Ingredients: Pure water, 1.3 -Butylene Glycol, Cherry Blossom Leaf Extract (Prunus Yedoensis), Glycerin, Sodium PCA, Rosa Centifolia Flower Water, Panthenol (Vitamin B5), Sodium Hyaluronate, Ubiquinone (Coenzyme Q10), Xanthane Gum, Malva Sylvestris (Blue Mallow Flower) Extract, Mentha Piperita (Peppermint) Leaf Extract, Primula Veris Extract, Alchemilla Vulgaris Extract, Veronica Officinalis Extract, Melissa Officinalis Leaf Extract, Achillea Millefolium Extract, Allantoin, Disodium EDTA, Malus Domestica (Swiss Green Apple) Fruit Cell Culture Extract, 2-Phenoxyethanol, Glycerol, Lecithin. The mask didn’t leave my skin bouncy or feeling saturated like other masks I’ve tried and loved. It definitely didn’t leave my skin feeling “deeply hydrated,” as the name would suggest. For these reasons, and the fact that it has alcohol, which I wouldn’t mind if it was good in other respects, I wouldn’t use this again. Cons: Not crazy about the scent, doesn’t hydrate as well as other masks. Key Ingredients: All sorts of fruit and botanical extracts and seed oils, from olive and grapeseed to carrot and sweet almond, the latter of which are supposed to be good for oily skin. More sheet mask reviews here, including Estée Lauder’s foil mask. What are some of your sheet mask loves and fails? Any you can recommend? That´s a very interesting post. Some masks are truly expensive, far from my reach right now. I am making a decent sheet mask collection and will start with one mask a day while ordering masks to have each day one for a month or so. I love the ones with green vegetables, although not expensive they help my skin keep hydrated. I’m ok with Tony Molly Broccoli Sheet Masks (it’s the variety that really works on my skin from this brand) and I like using ginseng, green tea and propolis. I am not too keen on buying expensive masks, because of the limited time they have on my face 😀 ! I agree — I think for special occasions, maybe an pricey sheet mask is worth it, but for everyday, there are so many good sheet masks out there that are affordable, why not? I personally have the opposite problem of you — I don’t like masks that heat up because my skin is sensitive to heat, which causes hyperpigmentation!